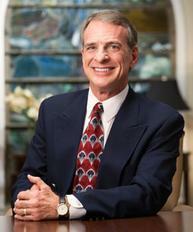 Dear Dr. Craig, thank you for your great work at Reasonable Faith. My question is one borne from a sense of sadness and resentment towards God for His seemingly indifferent attitude to my pain. I have struggled for years with bad eyesight and floaters in my eyes, (especially my left eye), and it really does affect my daily activities like reading and writing etc. I have been praying almost constantly for healing and restoration but have been met with a devastating silence. I happen to know that you yourself suffer from a muscular problem, and would like to hear your personal journey through that. Can you relate to my problems? Have you ever asked God to heal you? Did you feel bitter when He did not? How did you continue believing in His goodness and love? Also, did you experience, like I have, the Church telling you that if you are not healed it is because of your lack of faith or because of unconfessed sin? This teaching in particular is especially devastating to my own faith. I can relate to your problems, Nathan, not only because of my Charcot-Marie-Tooth syndrome, but, even more relevantly, because I have struggled since my teen years with keratoconus, which finally necessitated corneal transplant surgery in 1993. (Yes, my wife says I’m a walking medical disaster area but that I’m the healthiest person she knows!) I was finding that even with my contact lenses, my reading was seriously impaired and driving was difficult. So I know what it’s like to struggle with bad eyesight. So what can we do when we have such ailments that God does not miraculously remove? Let me share a few thoughts that have been helpful to me. 1. Realize that God owes you absolutely nothing. God never promised us a happy and healthy life. Anything we have is a gift from Him. God is just under no obligation whatsoever to give us a carefree life. As sinners meriting only the justice and wrath of God, we have been saved solely by His good grace. If He chooses to give us a pleasant life on this planet, that is His discretion; but if instead He metes out to us a life filled with misery and suffering, that is also His prerogative. God is sovereign, the Lord of all, and we have no claim whatsoever on a life free from illness or pain. 2. Think of what is yours in Christ. In Christ we have eternal life, redemption from our sins, and a relation to God, an incommensurable good. How can we be bitter? Infinite good has already been bestowed on us in Christ. Thus, no matter what we suffer, no matter how awful the pain, we can truly say, “God has been good to me!”, simply because of all that we have in Christ. 3. Be grateful for what earthly goods you do have. At least you’re not blind! Think of all those who are! The next time you’re tempted to feel sorry for yourself, think of all those worse off than you. Think of the people in North Korea, or Syria, or Southern Sudan. How dare we feel self-pity in the face of such suffering? Cultivate a grateful spirit and frequently pause to count your blessings. 4. Understand that God’s strength may be exhibited through your weakness. Yes, soon after becoming a Christian, I prayed several times for healing from Charcot-Marie-Tooth, to no avail. I then came to appreciate the apostle Paul’s words, when he wrote of his “thorn in the flesh” that plagued him: “Three times I besought the Lord about this, that it should leave me; but he said to me, ‘My grace is sufficient for you, for my power is made perfect in weakness.’ I will all the more gladly boast of my weaknesses, that the power of Christ may rest upon me. For the sake of Christ, then, I am content with weaknesses, insults, hardships, persecutions, and calamities; for when I am weak, then I am strong” (II Corinthians 12:8-10). Wow! Paul boasts in his physical weakness, for then Christ’s power working through him is all the more evident! May God grant us this same spirit when we struggle with life’s ailments! Those Christians who have condemned your lack of faith only show that they are without understanding. Full physical healing comes only with the resurrection, and at that time you will be healed of every infirmity. Until then we must, like Paul, struggle though by faith. 5. Seek the best medical attention. I sought out the finest corneal transplant surgeon in the U.S. to deal with my eye problems, and now I see the world through the corneas of two anonymous persons who selflessly thought to donate their tissue to medical science upon their death. You don’t mention anything that you have done other than pray to remedy your eyesight, Nathaniel. Don’t listen to those who say that God answers your prayers only through miracles. It’s been rightly said that when we pray about a plumbing problem, then God sends us a plumber. Similarly, God sends us doctors, who have explored the mysteries of His created order to uncover the secrets of health and healing. Take full advantage of what medical science has discovered about the marvelous creation which is the human eye to rectify your problem. If, as with my Charcot-Marie-Tooth syndrome, the problem proves to be incurable at present, then practice the points above. May God’s strength be evident in you!